Mike and I picked up an Aroma rice cooker last year that has some great features. One of them, “quick cook”, allows you to saute veggies with the rice – this is a great way to add some extra flavor and zing to your rice dish. Of course the stove-top method would work, too, but if you’ve ever cooked in Southern Arizona in May, you understand my desire NEED to limit my use of the stove. 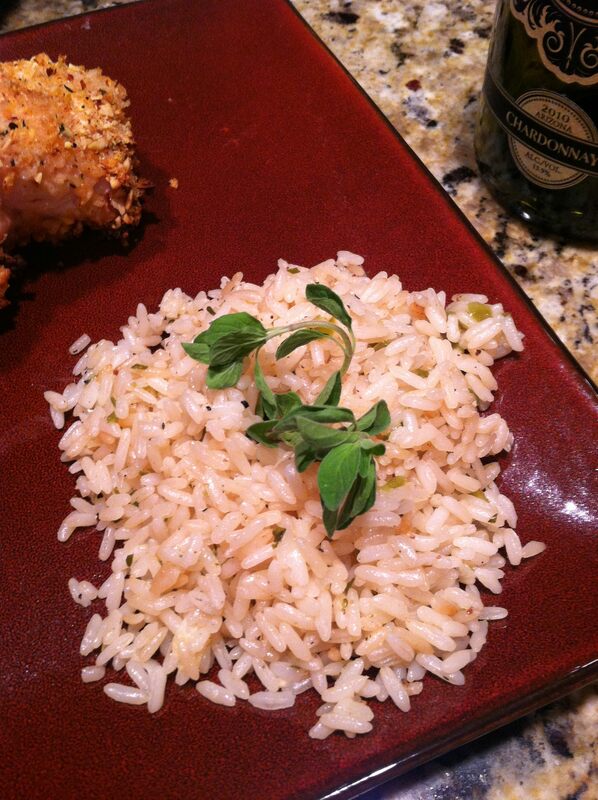 Here's a simple lemon-herb rice pilaf side dish that gives you a chance to dust of that old rice cooker! In a rice cooker or small saute pan, melt butter and saute garlic, onion, and pepper. Add the rice and saute until translucent (about 3 minutes). Stir in chopped thyme and oregano. Add wine and simmer for about 2 minutes. If needed, transfer rice mixture to rice cooker. Add juice of half a lemon and water according to rice cooker or package instructions. Slice off each end of the lemon and incorporate into rice. Cook according to rice cooker or package instructions. Enjoy!